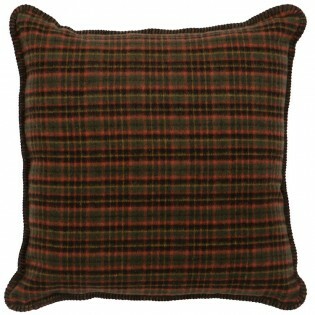 Pine Moose Plaid pillow is made from a unique wool blend blanket fabric that is 30% new wool, 25% acrylic, 35% viscose and 10% polyester. The result is a soft warm and easy care fabric that you may safely machine wash in cold water and air dry. Made in the USA. 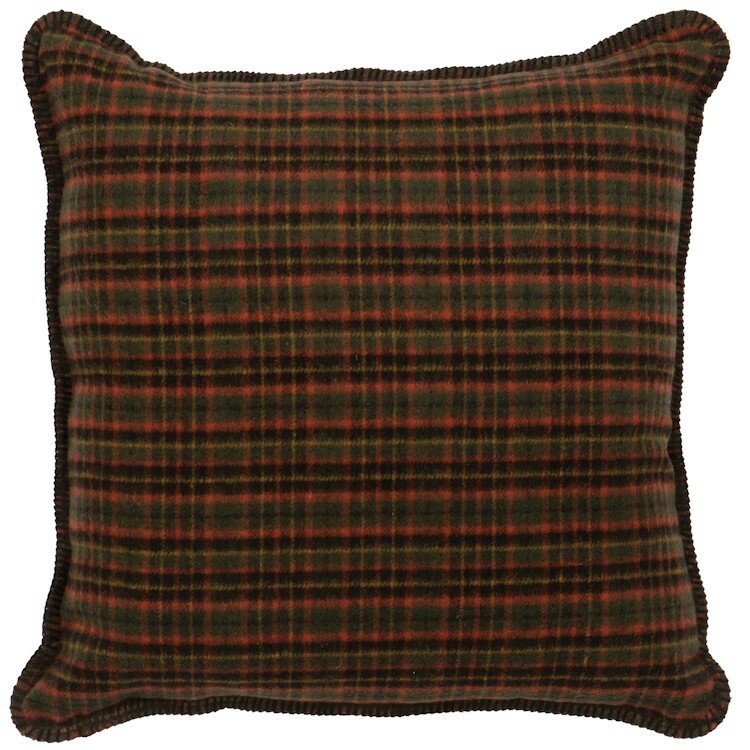 Pine Moose Plaid pillow is made from a unique wool blend blanket fabric that is 30% new wool, 25% acrylic, 35% viscose and 10% polyester. The result is a soft warm and easy care fabric that you may safely machine wash in cold water and air dry.